Spell anything you like to add that extra sparkly WOW factor to your event! Our letter lights rock any party! Get in contact with any question and we will be glad to help. A, B, C...easy as 1, 2, 3! We have a large selection of LED letters, numbers & illuminated signage to choose from. Our 3D letters bring extra sparkle to your special occasion. Get in touch for further information and availability! We'd love to light up your corporate event in style. 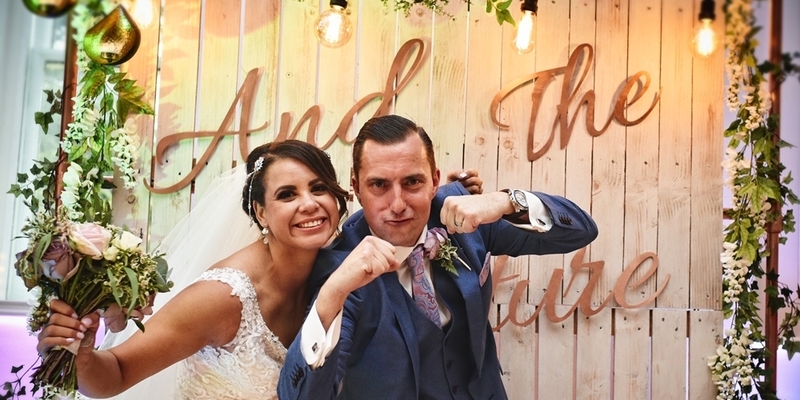 Based in the North West, Words To Glow Light Up Letters & Venue Decor have established a respected and leading reputation for beautiful and bespoke vintage letter lights and signs for any occasion. 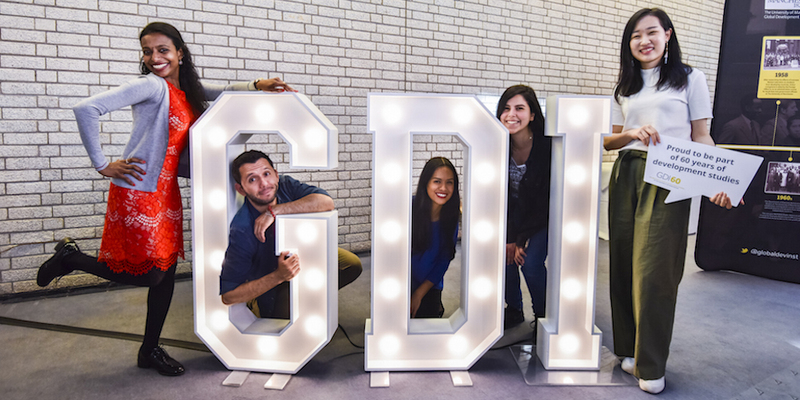 Our large collection of light up letters & event prop hire provides the perfect backdrop for your event that is sure to excite & amaze your guests! We are proud to deliver our fantastic signage to a variety of key events and occasions. Due to this, our team have certainly covered it all. From jaw dropping weddings to celebratory bah mitzvahs, wonderful christenings and party shenanigans, we supply bespoke lighting for any Manchester or North West event. Furthermore, with the breadth of hire options available, our letters are the perfect event prop for corporate branding and events. Words To Glow is a leading North West supplier of light up letters for hire. We have worked with leading brands including the BBC, ITV, Kelloggs and KIER construction, and have been featured on a number of leading wedding blogs, including Rock My Wedding, Brides Up North and The English Wedding Blog. In addition, we foster our relationships with leading North West event specialists through innate attention to detail and a love of what we do! What are you waiting for? Our fabulous 4ft x 2ft 3D letters are available to hire to add that sparkle to your wedding day, special occasion or event. With our vintage illuminated marquee letters, you can spell anything you desire…Take a look at our extensive gallery for inspiration – the only limit is your imagination! Choice is our speciality – for images of some of the more unusual hires we have undertaken, hop on over to our Everything Else Besides section of our website gallery. Maybe you would like a little help in deciding what to hire? Since you are interested, we would like to suggest a few options! 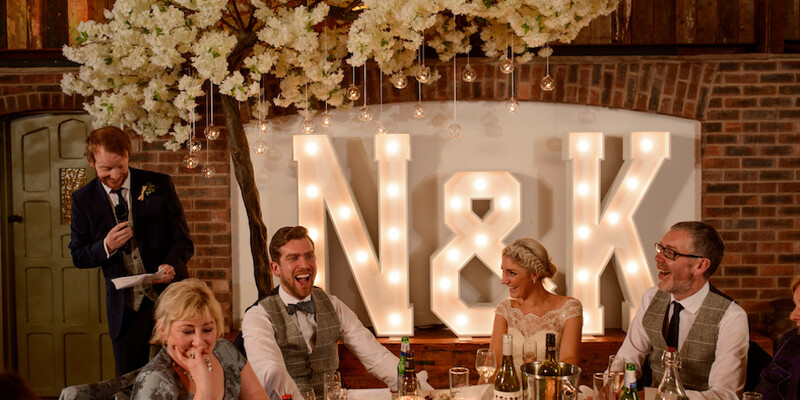 From our ever-popular LOVE letter lights to our MR & MRS light up sign, or even your light up initials, our letter lights can be ordered to your specification. We lovingly handcraft each of our letters from initial template to beautiful completion in our Manchester based workshop. Our letters come complete with warm white LED bulbs which provide a warm and ambient glow. One of our most popular hire products are our mini letter lights for weddings. 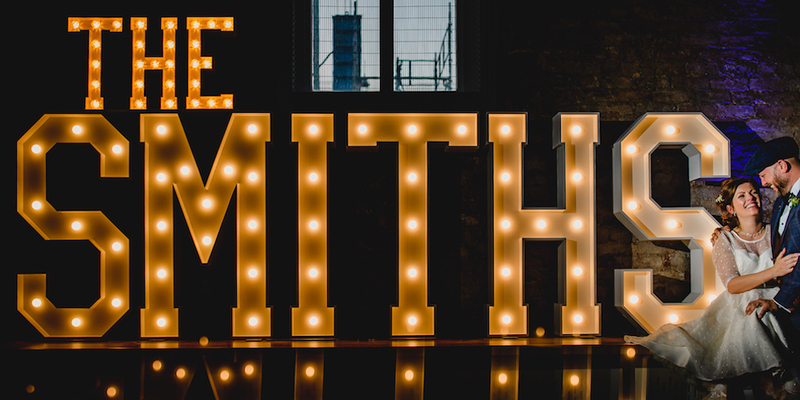 Available in mini ‘The’ or mini ‘Mr & Mrs’, these custom marquee letters can be hired alongside our giant illuminated letters to spell out your newly married surname. 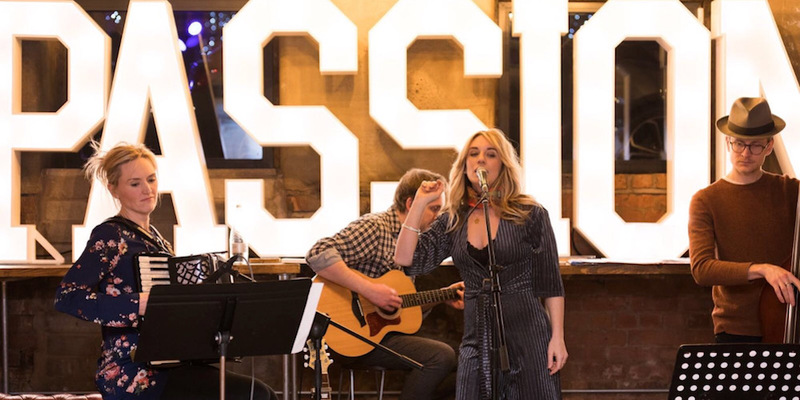 We believe they provide an instant WOW factor for your wedding reception and a certain talking point for your guests. With every letter of the alphabet and numbers too, our event prop hire provides the perfect illumination for corporate events. Our corporate clients can choose from our ever-popular DANCE or PARTY alphabet letters. Or for that perfect on corporate branding, why not spell out your company name in beautiful sparkly lights. Now with a hashtag and exclamation mark too, you can be sure your corporate bash will go with a swing! Head on over to our corporate hires section over on our gallery for ideas and inspiration! For all our hire products, don’t forget to check out all the available options on our main gallery page. Still stuck for ideas? We have you covered! Our Products Catalogue is here to get your creative juices flowing. Here we showcase some of our most popular ranges and hire options. This includes our lovely festive illuminated letters and new products such as our stunning METRO wedding LOVE letters or rustic light up letters range. For feedback and reviews on what we do view our testimonials or video review on our testimonials page. We’re always up for a little Q & A! Perhaps you have a few queries in regards to the finer details in regards to your hire? No problem! Hop on over to our Frequently Asked Questions page and the answer you require may well be there. If you do not immediately see the answer to your question please do get in touch via our Contact Us page and we will be only too happy to help! Finally, visit our Facebook page to keep up to date with all our most recent news and events and images of our latest hires!